A: I hear much talk of Patrick O’Donovan. Is he a new Irish snooker star? B: No. 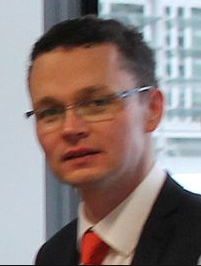 Patrick is a Fine Gael TD and the new junior Minister at the Department of Finance. A: That’s nice. Does he get to roll naked in a bath full of €100 notes? B: Not as far as I’m aware. But he does get to give his view on things. B: How “ordinary, decent Fianna Fail voters” are feeling. A: Clever. Lets him imply that there are extraordinarily indecent Fianna Fail voters. A: What does he say about these ordinary decent crim – sorry, Fianna Fail voters? A: Ah. So it’s the Shinners who are indecent. A: Has Patrick anything more to say about them? B: A fair bit. He says they go in for “back of the fag box economics” and is associated with those who have “blown children to smithereens”. A: Wow. Financial illiterates and military psychopaths. You can see why Patrick is concerned. Does he elaborate on these charges? B: Not really. But he says Sinn Féin must “deal with issues from the past” before they can be considered for coalition by Fianna Fail. A: I thought you said Patrick was Fine Gael. A: This thing about children blown to smithereens – does he mention which children he has in mind? A: Hold on. The Dublin-Monaghan bombings? A: But those were carried out by loyalist paramilitaries, weren’t they? With a bit of help from their chums in the British armed forces. B: That’s a widely accepted belief. A: But one not shared by Patrick. B: It would appear not. B: Patrick says his support of Denmark’s move to reform doping rules in athletics drew a lot of abuse on social media. A: And Patrick’s response to that? B: “I was blown away” he says. A: Do you know what that means? B: Finally, Patrick says he likes to think with his stomach. A: A greedy person, then. A self-confessed obese. A: So Patrick consults his gut and then does the right thing. A: Any more on that fag-box economics? B: Not that I’ve heard of. A: Is Patrick ambitious to climb the greasy Fine Gael pole? B: That’s a question no right-thinking person should answer. Very witty,jude. Fine Gael have some items in their past like daisy chaining people to land mines so they too can be blown away. That was Paddy Dalys Squad that done that. Fine Gael weren’t in existence then. They didn’t call themselves that Ná Léintí Gorma. Hard to believe such clowns get elected to represent anyone. Patrick is an idiot. How many people did it take to get him elected. Did they realise how stupid he was (is)? I had to go back and read the original article. Extraordinary stuff. But it confirms what I’ve said elsewhere on this site – northern nationalists have a lot to fear from southerners. I know this sounds petty, but even the way they combine the bombings in Dublin and Monaghan to make “the biggest incident in the northern (sic) troubles” and a monument on Talbot Street including both. Sounds like a guy with a big future in Fine Gael. It is reassuring to read, Esteeemed Blogmeister, that the musical tradition for which the MP’s for West Limerick are legendary is being continued. Gerry Collins, MP (no relation) once landed a recording contract for his unique ability to play the tin whistle by blowing his party’s anthem through his left nostril rather than through his lips. He was, of course, a Fianna Failure from Abbeyfeale. It is now the turn of a Fianna Fail Better aka Fine Gael, to regale us with the musical baton. That would be, of course, Patrick O Donovan, MP, the Newcastle West Briton who is renowned even from the cradle for his remarkable control of the abdominal muscles. His speciality, to go by this latest window of opportunism in the venial Sindo, is to dispense with a turd-party musical instrument and to rely entirely on his Isaac as the fundament is known in those parts, to astound the masses with a rousing sounding off of the Trouser Cough Concerto in D Flatulence.. Which, of course, is a variation of the Fianna Failure anthem, ‘Legion of the Rearguard’ (see above). At home, he is simply Patomane’.